Travel. Eat. Drink. Stuff. : Bad Shrimp? Which one did I throw out? 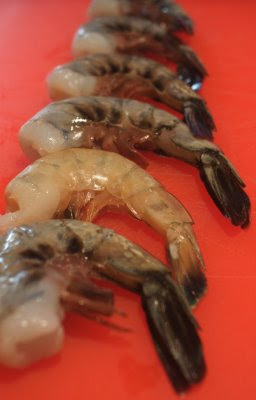 I am making grilled quick-brined jumbo shrimp and of the six I purchased from Chelsea Market, one wasn't looking so good. Guess which one? the lighter one second from the front.